After a long time, I visited dailypost blog. Just scanned to see if there was something interesting and finally, I stopped at this topic. I found this quite interesting simply because – How I got my name has a nice little story behind it. I heard it directly from the horses mouth few years ago. Unlike most kids who get their name from Parents or Grand Parents, I was named by my eldest uncle [ mom’s eldest brother ]. It seems after my elder sisters birth uncle was troubled by financial losses and repeated crop failures, which complicated both his personal and social life. He was under tremendous stress and anxiety. He was hopeless and during that period he happened to meet a person from his neighboring village. Uncle said that this man helped him a lot to recover from the setbacks and showed him new direction. With time they became best friends. Also, both their families got closer to each other. All was going well when suddenly one day, he was found dead. No one knows what exactly happened but his best friend was gone. This happened few weeks before I was born. 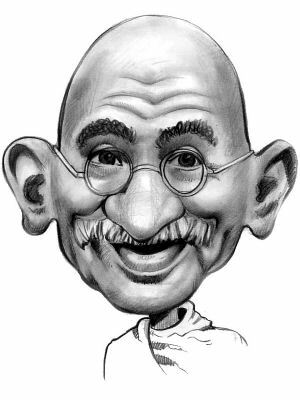 Originally uncle wanted to name me Mohan after Mahatma Gandhi’s first name. But, when I was born he decided to name me after his dearest friend. I got his got his name. It was his way of paying tribute to his friend who helped him through a difficult stage of his life and more importantly stayed a good friend till the very end. That’s how I Was named Narendra Reddy. But hey, story doesn’t end here. During those days dad was a lecturer at REC, Calicut. Which means he got to know about me and my name only after few weeks. He immediately wrote back to my uncle and wanted them to append ‘Kumar’ as the middle name. My name became Narendra Kumar Reddy. Apparently, my family members, relatives and my neighbours call me Kumar. Most of them don’t even know my name is Narendra. Right, that was my story, How about yours? Named after my dad. That as exciting as it gets. Great story, Narendra. I recently did some family tree research and found a trail of Johns, Richards, Williams, and, heaven forbid, a whole load of Cornelius’. Fortunately Cornelius as a name died out (although my wife seems to think it’s funny to call me that some times, now that she knows of it) and it was my Mother’s choice to call me Brian ! She changed her mind at the last minute and as a consequence I am the only Alan in 400 years in our particular branch of the tree – though I do know that there are others now with the same name. Ahhhh..nice little Story, Alan. Happy Story! !